According to G-Unit lyricist Young Buck, fans of the group were likely excited about the reunion of those in G-Unit this year. But when it concerns his fellow artists, Buck revealed that he isn’t sure if their excitement for the reunion of G-Unit was genuine. Joined by his fellow G-Unit members, the Nashville, Tennessee rapper addressed the matter during an appearance on Hartford, Connecticut’s Hot 93.1. 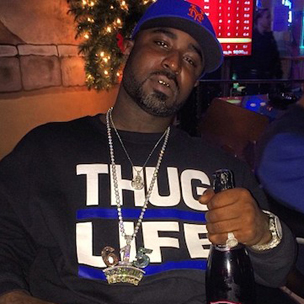 Young Buck also spoke on being able to relate to Remy Ma since the two artists both served prison time recently. He says he caught up with the New York rapstress at Jeezy’s Seen It All album release party and added that G-Unit would be willing to work with Remy. With G-Unit’s The Beast Is G-Unit EP set for release this month, Lloyd Banks was asked why the group is releasing yet another EP instead of a studio album. According to Banks, those in G-Unit are not content with merely sitting on all the music they’ve made and would prefer to release what they have to fans. Lastly, G-Unit’s newest addition, Kidd Kidd spoke on being relieved at the reunion of G-Unit. He says now that the group is reunited there’s no pressure and he no longer has to hear inquiries about the whereabouts of Young Buck, Tony Yayo, and Lloyd Banks.